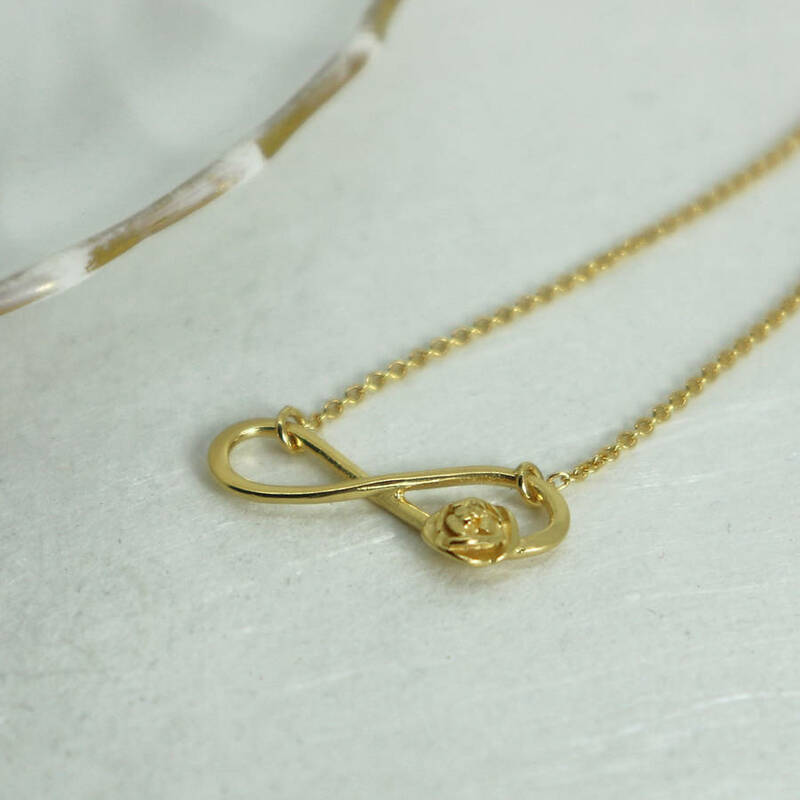 This stunning necklace features a small infinity charm with tiny rose, a beautiful symbol of love and friendship. 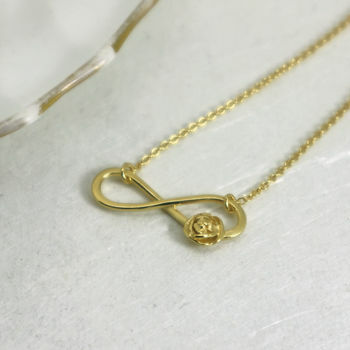 Using the classic symbol of infinity meaning forever and always, then combining the rose meaning love and passion. 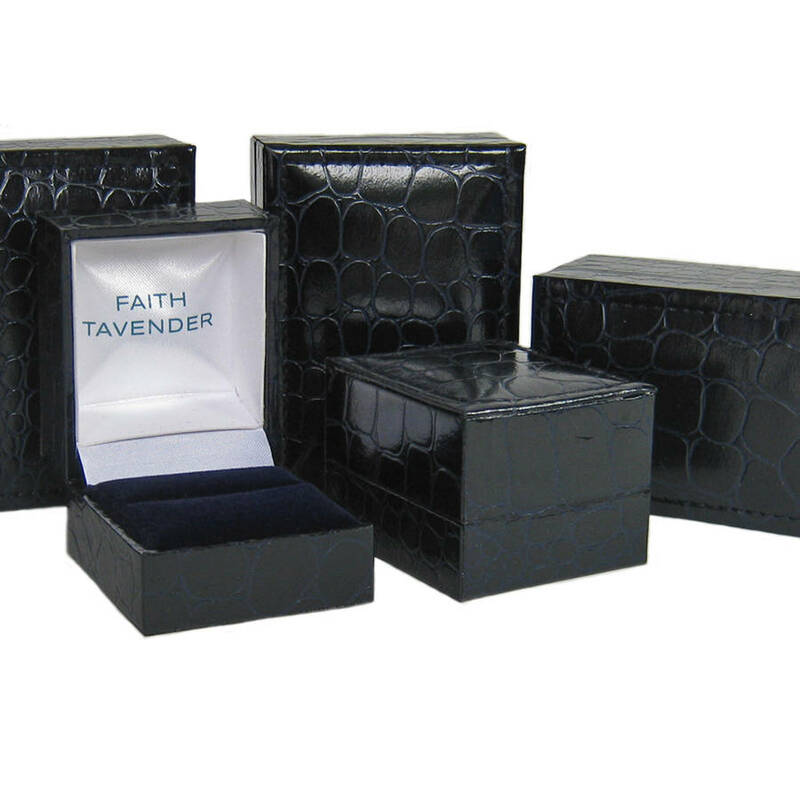 A perfect way to express to someone special love and friendship forever. This necklace is handmade in my London workshop and is made to the highest quality. A special piece of jewellery to be treasured always. All made from sterling silver and 22ct Yellow gold plate. The infinity charm is 2.3cm by 0.7cm. 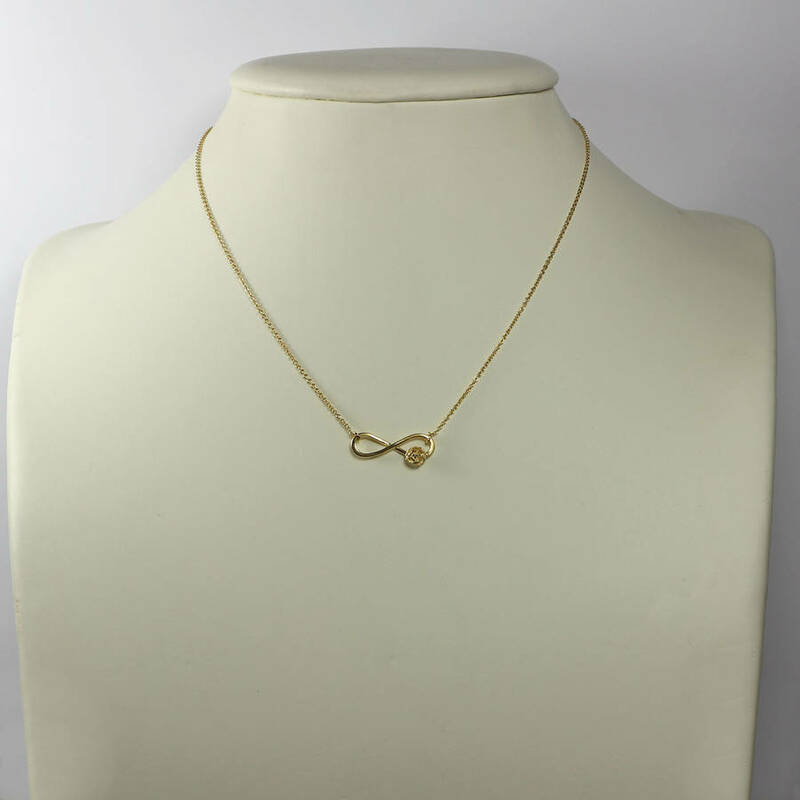 The total length of the necklace is 43cm (17 inches). All my products are delivered free of charge to mainland UK using Royal Mail Special Delivery Service and packaged in branded boxes. I offer a free gift wrapping service. If you would like me to gift wrap your items, please select from the gift wrap options with your choice of purple or navy ribbon.